Browning Pass HideAway Resort is a unique wilderness dive destination located 25 kilometres (12 miles) northwest of Port Hardy, accessible only by boat. Just minutes from a variety of world class temperate dive spots in Queen Charlotte Strait and Browning Pass marine protected area, this area is also a magnet for large marine life and on the travel routes of whales and other marine mammals. Owner and manager, John de Boeck, is a fixture in the British Columbia diving community, with over 30 years involvement in the industry. 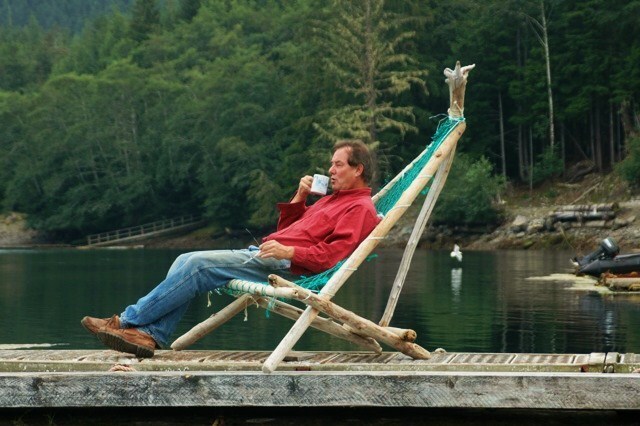 Before establishing the Hideaway in 2002, John operated liveaboard dive tours for 22 years in BC’s coastal waters and was a pioneer in discovering many of the spectacular dive spots in this region. Visitors to the Hideaway benefit from John’s unparalleled knowledge of local conditions and wildlife. HideAway has a small regular crew complemented by an ever-evolving volunteer crew from around the world. All help to run operations during the dive season, bringing a variety of skills to the HideAway. Crew members include dive professionals, engineers, biologists, computer geeks, cooks and international adventurers and volunteer with us throughout the year. They fulfill many roles, from supporting the dive boat, to repair and maintenance projects on the HideAway building, floats and equipment. Everyone is involved in ensuring that our guests have a wonderful and memorable visit. Not only do we have the world’s best temperate diving at our front door, we’re also surrounded by an incredible array of topside nature. Nigei Island is covered in a beautiful temperate rainforest that is home to bald and golden eagles, deer, hummingbirds, river otters, occasional cougars and our favourite — a pack of coastal wolves. During surface intervals or dry days a favourite activity is to explore the forest and beaches. There we find wild huckleberries, incredible moss patches in the forest and on a secret beach, ammonite fossils. We also like to take to the water with paddles to explore the shoreline looking for otters, seals, sea lions, humpback whales, porpoises and even the occasional passing orca family.